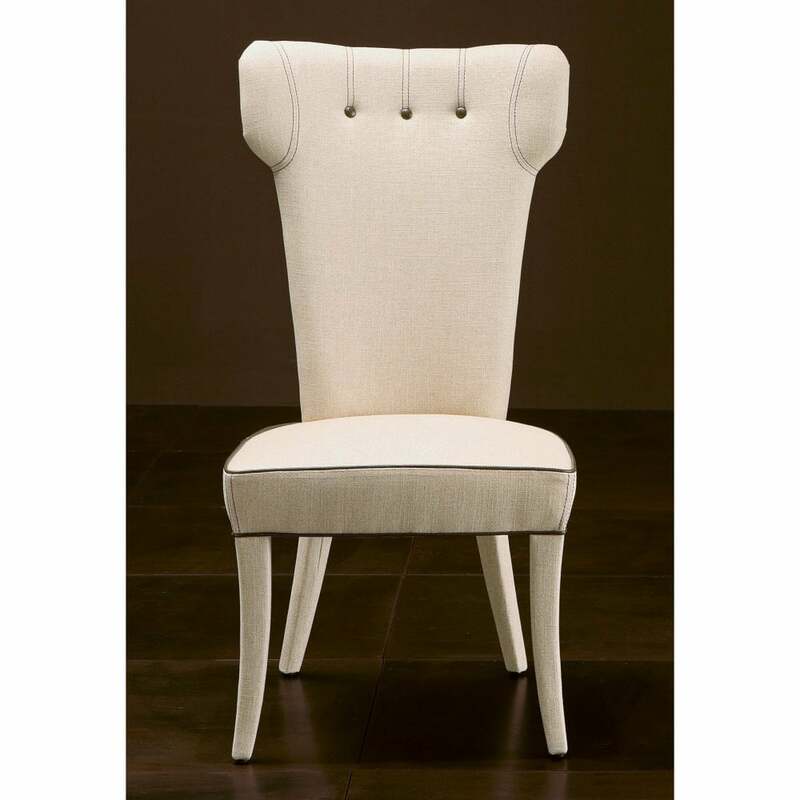 The Guendalina Chair by Rugiano Interiors is crafted by skilled artisans in the heart Italy. This classic chair design has a timeless quality that exudes sophistication. The contoured backrest and seat is adorned with button detailing and features a curved headrest. Choose from a variety of finishes in the finest Pelle leather or Tessuto fabric. The tapered legs can be upholstered in complementary fabric or crafted from wood and decorated with lacquer. Available in three sizes to suit the height and depth of your dining table. Make an enquiry for more information.